You may choose the title company you want. You are not required to use a title company selected by a real estate agent or lender. 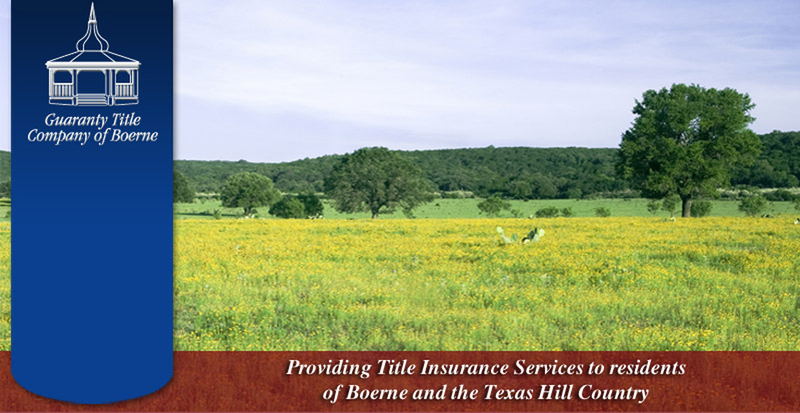 All title companies charge the same rates set by the Texas Department of Insurance. Read your policy. It gives the legal description of your land, tells how to file a claim and describes your coverage, including limitations, exclusions, exceptions and special conditions. A title company must defend your title in court, subject to certain limitations, and, if loses, the company pays covered losses up to the face amount of the policy. Your title policy amount is the sale price of the property plus the cost of immediately planned improvements. A title policy DOES NOT guarantee (1) you can sell your property; (2) you will not lose money if you sell it or (3) you can borrow money on it. Your title policy covers only actual losses up to the policy amount in force at the time of a claim. The policy amount is the sale price of the property on an owner's policy and the principal amount of the loan on a mortgagee policy. It does not cover increases in value unless you buy an "Increased Value Endorsement".